Making book reading a sensory experience can be fun when you involve the kids. We all use our senses to engage with and understand the world around us. The way that people interact with the world is different from person to person, and it can be especially particular for those on the spectrum. When it comes to special needs children, sometimes one or more senses are either over- or under-reactive to stimulation. Understanding how your child operates, what they respond to, and what they like can help make learning much more tangible for them. Reading a picture book aloud can be an active and engaging activity for children. It can be even more effective with the use of some simple strategies. 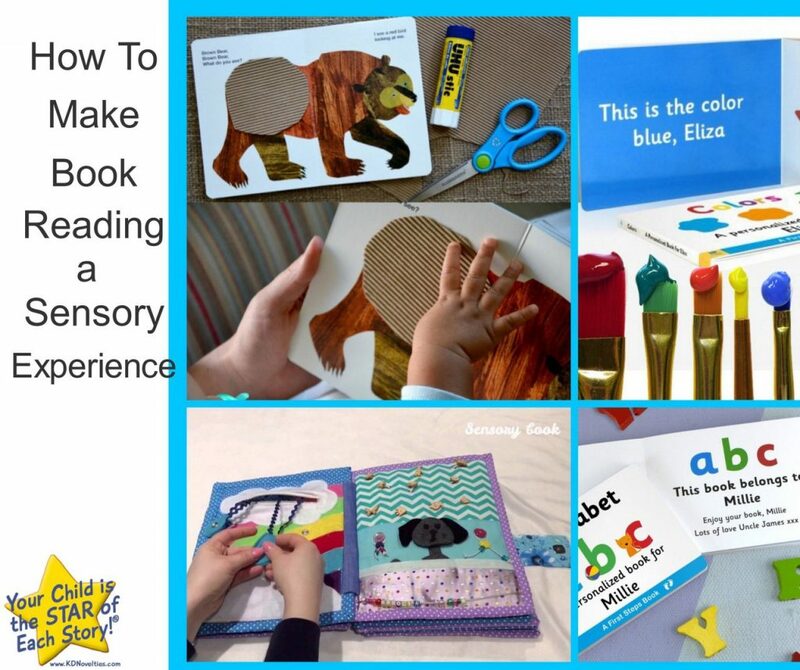 Here are some ways how you can make reading a book aloud to your child more of a sensory experience. Many children’s books might already have this ingredient, especially baby books. However, for children on the spectrum, the addition of texture, fabrics, materials other than paper, and even props can help them engage with the story. 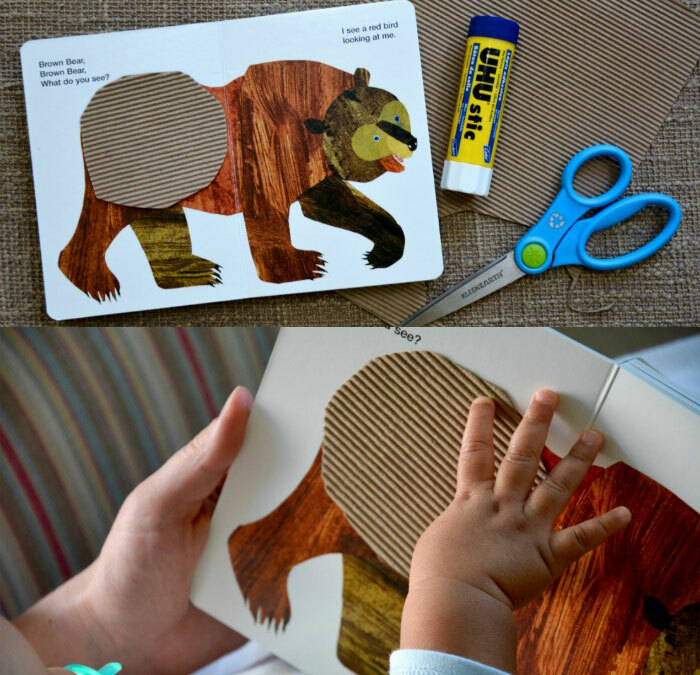 If you have picture books, you can add your own textures with materials from any arts and craft stores such as felt, cotton balls, fur etc. where appropriate. You can customize books to be more interactive and encourage your child to interact with the book and the story even more. Props and visual aids can be useful in many ways. It can help kids understand the story and recreate scenes and retell the story on their own. Thus, helping them retain information and develop a closer understanding of the story. Items like stuffed animals, toys resembling characters, felt board sets, sequencing cards, miniature objects and more can all be helpful and enriching. Adding sounds while reading can do a lot for kids, too. You can ask your child to imitate farm animal sounds or any other actions that are included in the story like trains and cars. For kids who are minimally verbal or non-verbal, you can consider augmentative and alternative communication in place of sounds. This can include actions, miming, or pointing to certain things as they happen in the story. Creating a more engaging atmosphere can be fun for reading, too. Adding candle scents or going outside to recreate the setting of the story can help your child with their imagination. They can get a better grip on the characters are and what they are doing. If food or candy is mentioned, having some of the same on hand can be fun, and tasty, too. This is a great way to not only add some exercise to your day but can make reading a far more active experience. You can get up and engage in the same activities as the characters in the story. You can also reenact entire scenes straight from the book. This encourages children to think about what the characters would do or what the story is about. By approaching stories in different ways, you may find the one that reaches and affects your child the most.